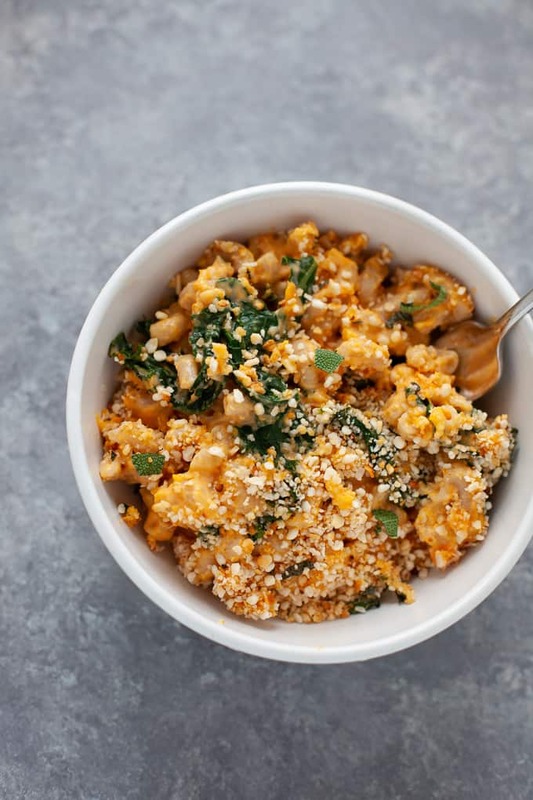 An inspired and elevated classic comfort food staple, this sweet potato mac and cheese with kale is packed with the sweet taste of sweet potato and the earthy, savory flavor of sage. Plus, the added veggies help make this a more balanced pasta dish! I think I’m having a pumpkin hangover. You know the feeling, right?! When you get really excited that fall is officially here and go on a pumpkin bender, eating, cooking, and pinning ALL THE THINGS PUMPKIN. And then you kinda crash and realize you’ve been neglecting all the other amazing produce of fall. 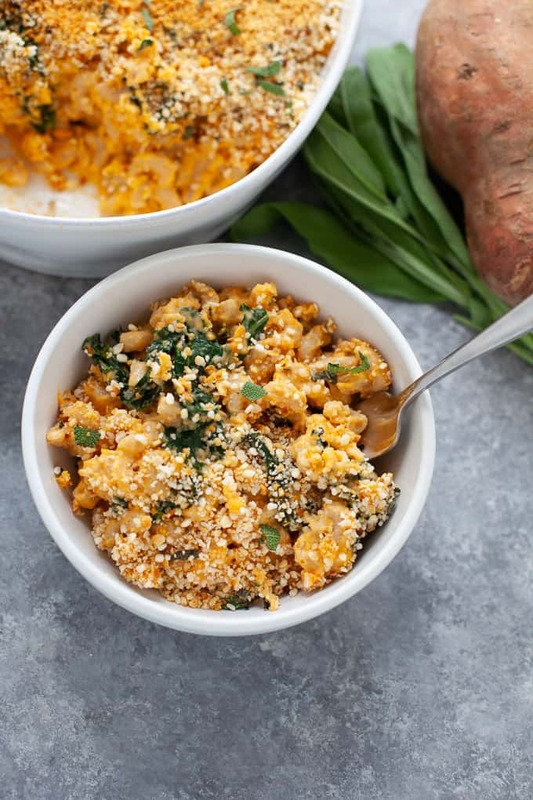 Although seriously tempted to break out the pumpkin (I’ve still got some leftovers from last week’s Pumpkin Pie Smoothie Bowl), I decided to be an equal opportunity fall produce enthusiast and make a dish featuring a different kind of orange – the sweet potato. 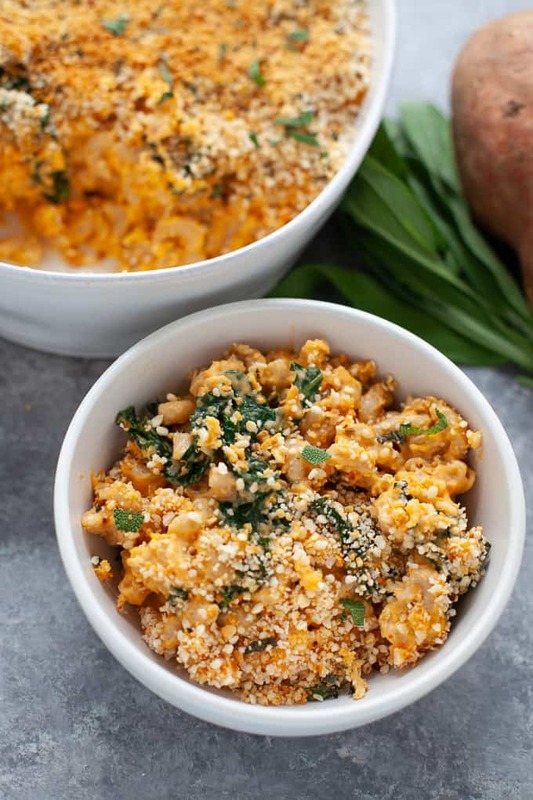 Sweet potatoes are not only deliciously sweet, they’re packed with fiber, potassium, and vitamins A and C. This mac and cheese still follows the traditional recipe of making a roux with flour and butter and creating a thick milk-based sauce but uses less milk and less cheese because the sweet potato adds volume and a whole lot of flavor. I’m not saying that less milk and less cheese is better for you. Sometimes I crave a traditional mac and cheese recipe and make it. Other times I crave pasta but maybe my body tells me it feels like something a little less heavy – this is the pasta dish for those nights. Did you know that October is National Pasta Month?! I LOVE pasta. Not just because I’m Italian and it’s in my DNA, but because it’s an awesome foundation to build a nourishing meal. Choose whole-wheat pasta, pile on some veggies and a protein, and you’ve got yourself a well-balanced, satiating meal, my friend. I also don’t hate that pasta won’t break the bank and that you can easily make large batches so that you have leftovers for the week. This dish is sweet and savory, which just the slightest kick from the cayenne pepper. I love the textural components too of the leafy kale contrasting the soft pasta and the crunchy sage breadcrumbs on top. I always know a recipe makeover is a success when Steve approves. This isn’t the quickest dish to make so maybe save this one for the weekend or you can roast the sweet potatoes and saute the kale ahead of time for a huge time-saver! Preheat oven to 400 degrees. Prick sweet potatoes with a fork in several places and place in oven to bake for 45-60 minutes, or until tender. Remove from the oven and let cool to room temperature. Preheat broiler and adjust oven rack toward the top of the oven. Cook elbow macaroni according to package instructions. Drain pasta and set aside. While the pasta is cooking, add olive oil to a large saucepan over medium-high heat. Add garlic and cook until garlic is fragrant, about one minute. Add kale and toss to coat. Add 1/3 cup water and cover for about 5 minutes. Remove cover, reduce heat to low, stir kale and sauté until water has evaporated and kale is slightly wilted, about 10-15 minutes. Season with salt and pepper, to taste. In a dutch oven or large pot, heat butter over medium-high heat until melted. Add flour, cayenne pepper, and dry mustard, and whisk until it thickens, forming a roux, about 1 minute. Gradually whisk in the milk and continue whisking until milk reaches a boil. Once boiling, reduce heat to medium and continue to whisk the milk until it begins to thicken (to the consistency of heavy cream), about 5 minutes. Remove from heat and whisk in the sweet potato. Using an immersion blender, blend the sweet potato until smooth. Whisk in cheese. Stir in kale and elbow macaroni. Season with salt, to taste. 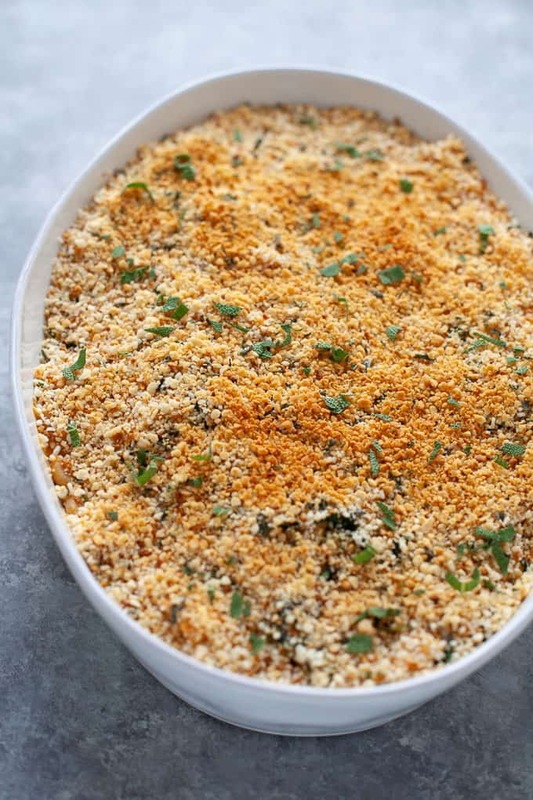 Transfer pasta to a baking dish and top with sage breadcrumbs. Place baking dish under the broiler until breadcrumbs are golden brown, about 3-5 minutes. In a medium bowl, mix breadcrumbs and sage. Add melted butter and toss to combine. This has ALL the makings of a truly fantastic mac ‘n cheese… including, OMG, sage breadcrumbs!! Can’t wait to make this! This looks incredibly creamy and delicious! Oh my goodness! This looks and sounds amazing. I must try it! I feel like I could eat a bowl of those sage breadcrumbs alone! 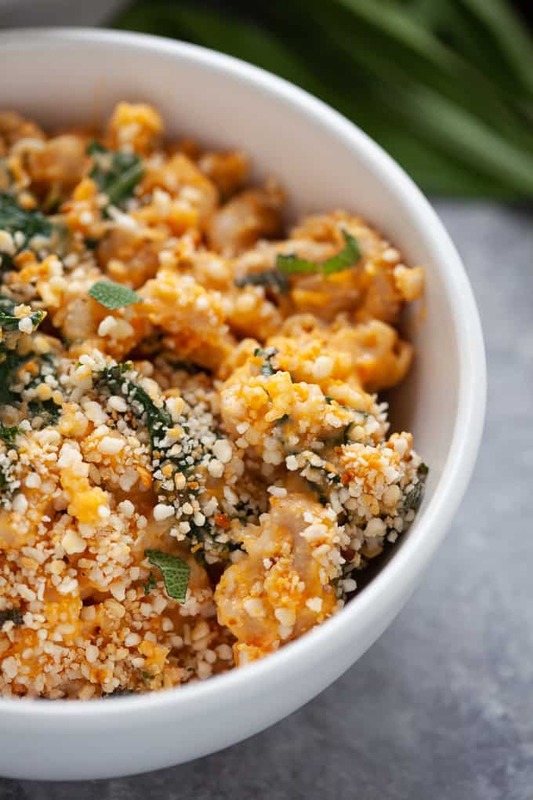 I’ve had butternut squash mac and cheese and really enjoyed it so sweet potato sounds like a great version as well! This looks amazing Kara! It’s been a long time since I’ve made sweet potato mac and cheese. I might need to make a gluten free version tonight. Those sage breadcrumbs sound divine! I’m just about ready to dive head first into this bowl!! 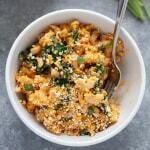 My husband loves mac and cheese so I’ll be trying this soon! Haha dive away!! Hope you and the hubs enjoy! This just looks so creamy and delicious, I can’t wait to try it. Plus, anything with sage and I’m there! Yes love me some sage this time of year!! OMGI have been craving meals like this 🙂 YUM! 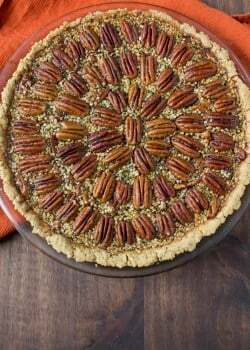 This looks amazing and perfect for fall! This looks absolutely incredible!! If my patients that preferred vegan diets wanted to make this, would almond milk make a good substitute for the dairy? Can’t wait to try! Thanks, Kathryn! You could totally sub almond milk for the regular milk. But this dish calls for cheese too – I supposed you could experiment with a vegan cheese alternative. Awesome! So glad you (and the picky eater in the house) enjoyed, Emily! Good call on using the protein-packed whole grain pasta. So disappointed!! This recipe is a lot of work to make and in the end does not taste that great. Not sure you can really call it mac & cheese… the sweet potato is pretty overpowers the cheese quite a bit and the mustard is just a really odd addition. Makes for a huge, dense, and heavy dish. Would not recommend. Hey Sofia – thanks for your feedback. Sorry to hear this recipe didn’t meet your expectations! You’re right, this recipe does call for a decent amount of prep but the good news is you can prep the kale and mashed sweet potato ahead of time. 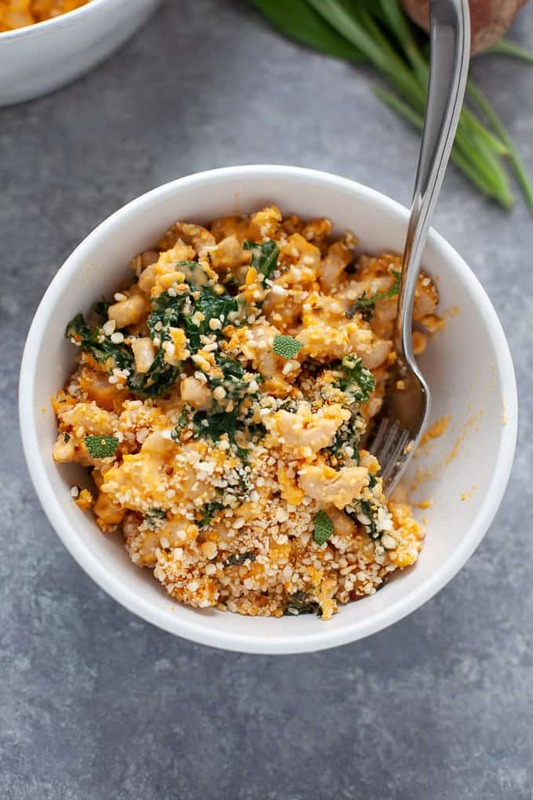 As far as the sweet potato and cheese goes – my goal was to reduce the normal amount of cheese by 50% to cut calories & fat and amp up the nutrients in this dish by replacing with sweet potato. And my intention was to include enough sweet potato so that you actually taste it :). And as far as the dijon mustard goes, it’s actually a pretty common (although perhaps counterintuitive) ingredient in mac n’ cheese (you might see it listed as dry mustard) as it just adds a bit more depth to the other flavors. Hope you’ll enjoy some of the other recipes I have on the blog! this is such a great idea! Perfect for fall! Yum! Thanks, Rachel! It definitely will be making a return appearance ’round Thanksgiving time. Aw, thanks, Liz! Glad you caught it! My harshest critic (Steve) approved so hopefully your fam does too! Omg! This looks amazing. I will definitely give it a try. I think my 17 month old would love it too! You and Jessica have convinced me to try Bnut squash next! I bet it’s as delish. can you use your recipe genius skills to make me a dairy-free version? and mail it to me? k great. But aren’t they gonna teach you that in vegan culinary school?! 😉 You’ll be mailing me some. I am so team sweet potato! Loving all the kale & orange veg with this Recipe Redux contest! Kara – this looks absolutely divine! Love all of the fall flavors. Thanks, Anne! It was really delicious. My biggest critic even gave it an A! This looks so creamy and comforting! 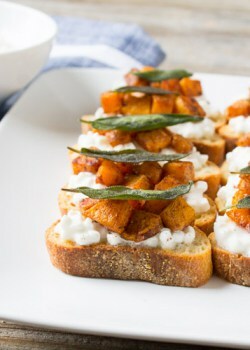 What a great fall dish! Thanks, Kelly! Can’t beat fall comfort foods! Don’t you just love using orange root veggies in mac n cheese?! 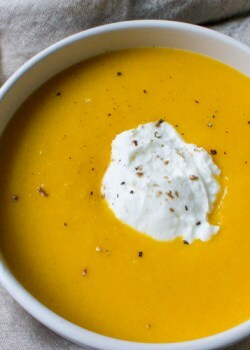 My version with butternut squash puree is a fam favorite! This looks delish too! Yum! Some of my very favorite fall flavors in one dish. Love using sweet potato or pumpkin to replace some fat. Thanks for the recipe!